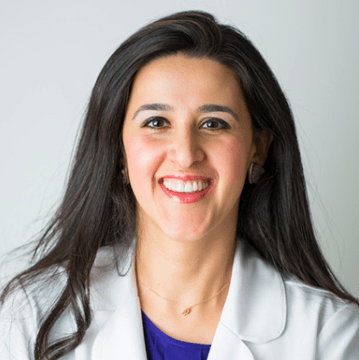 Dr. Fereshteh Yousefzadeh holds a degree from the University of Southern California, and a Doctor of Dental Surgery Degree (DDS) from UCLA and has the professional credentials of DDS, MSD. She specializes in orthodontics and dentofacial orthopedics. Dr. Yousefzadeh developed a passion for orthodontics in second grade when she was treated for an underbite. The results were amazing, and she’s been hooked on orthodontics ever since. Her goal is to help change people’s lives like her doctor changed hers. Dr. Yousefzadeh and her husband have a young son that keeps them very busy! In addition to spending time with them, she also enjoys cooking, music, dancing, and jewelry making. Through that craft, she has learned to bend wires really well – a skill that comes in handy when putting on braces!